I was reading through Isaiah 43-45 when God got my attention. A picture formed in my mind … a desert wasteland, cracked and parched. Then a trickle of water slowly making its way into those cracks. A tiny, tender shoot springing up. Then another. God’s Living Water was moving through the desert cracks of our community bringing salvation and restored blessing to a dead wasteland. People desperately need to experience the refreshment of the God’s Living Water poured into their lives, and we’re holding this LIFE in our hands. [caption id="attachment_3180" align="alignright" width="177"] NBS2Go Acrostic studies offer an easy way to dive into Bible study.I knew we needed to do something radical to open the floodgates in our church, and a building project helped make it happen. God led us into a season of not having women’s Bible studies at our church building. Instead, He called us to step out in faith into our neighborhoods, workplaces, friend and family groups.We were to bring His Living Water into the desert places. [caption id="attachment_3181" align="alignleft" width="140"] Women work an Acrostic Bible Study at NBS2Go training at Calvary Church.We had Debbie McGoldrick join us to cast this vision for a whole week in July 2015, and we have continued to take steps of faith all year. Since this heart change is God’s work, we meet at church twice a month to pray. We now have five pages of prayer requests. Some include men who have joined us in stepping out in faith. Some are still prayer walking; many are getting to know people; others have extended an invitation to study the Bible together. Salvation is springing up! People who have never read the Bible are reading it. Eyes are opening. [caption id="attachment_3182" align="alignright" width="147"] Susan receives a knitted prayer shawl from NBS2Go.Amazingly, we are the vessels that God uses to bring the Living Water into the desert places. And He uses cracked pots to get it there! As a vessel set apart for His glory, we are His water carriers. The water may trickle out of our broken places, but it leaves a trail of water that seeps in and causes salvation to spring up … even along the path … even on the way of bringing it to others.We are growing as a church as we take these steps of faith. Can you imagine what might happen in your church if the reservoir of water was unleashed to fill the cracks in your community? Let’s pray we experience revival in the church and a spiritual awakening in the world around us!God has said, “Forget the former things, do not dwell on the past. See, I am doing a new thing! Now it springs up; do you not perceive it? I am making a way in the wilderness and streams in the wasteland.” Isaiah 43:18-19.Find more Fresh Stories here!Susan Sorensen oversees the Women’s Ministry at Calvary Church in Grand Rapids, Mich. She is the author of several books and Bible studies, but she most delights in a book she co-authored titled, "Praying Through Cancer: Set Your Heart Free from Fear," which was published in 2006 and remains in print, continuing to minister to women and men going through the cancer journey. During her 28 years of marriage, she has loved having a neighborhood Bible study everywhere she has lived. Listening Journal: Are You a Planner? I often wonder….what if my desire to listen to God equaled His longing to speak personally with me? Listening prayer for me is simply being still in God’s presence, anticipating His voice, recording His words, impressions, or pictures, and then responding in love, faith and obedience to what He whispers. It’s absolutely amazing — I always receive exactly what my heart is longing for — sweet companionship, fresh encouragement and specific guidance. I’m praying that this excerpt from my “Listening Journal” will encourage you to begin a practice of listening to God. –DebbieBefore writing this entry, I came into my dining room to “listen” and accidentally picked up my notebook-calendar (same size & weight) instead of my Bible. Hmm ... wondering if You have a word for me in that? I’m listening!You are a planner. Security for you is often seeing things on your list or on your calendar. It creates a sense of control and feelings of accomplishment. I’ve created you this way. "So teach me to number my days that I may present to You a heart of wisdom." "One day in Your courts is like 1,000 elsewhere." "Three days later, Jesus rose from the dead." My ways and My delays may or may not be given to you in a way you can calculate, control or choose.Just be with Me, learn from Me, take My yoke upon you – for my burden/load is light. Listen and intentionally follow My lead.My stops and starts, My ways and delays and My race and pace will be revealed to you, as needed. They will either be able to be scheduled or will be disguised as a surprise. Either way, as you listen, enjoy My presence, feast on My daily fresh Bread, and link arms with my Body, My Will will become a simple reality for you.Don’t limit Me by your need to plan. Be open continuously to My divine plan!Are you a planner? How do you make room in your calendar to hear from God? She hung up the phone with trembling hands and sank heavily into a kitchen chair. The news was bad. Her neighbor’s young son was in the hospital fighting for his life after suffering a horrific injury in a motorcycle accident. He was still alive, and that was a miracle. She was overcome with the thought, “What if this had happened to one of my kids, and I didn’t know how to pray?” She was flooded with compassion for her neighbor, who was not a believer as far as she knew. 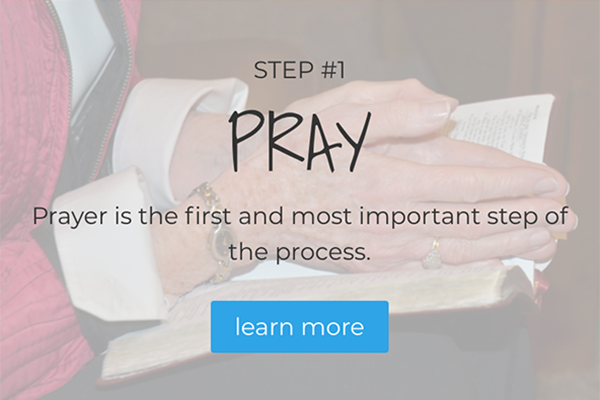 God spoke quietly to her, asking her to go to the hospital and show her neighbor how to pray. “Oh no, no, no… I can’t do that! I’m completely unqualified, Lord! Send someone else,” she thought. But there was no one else, and she was the neighborhood Bible study leader. If she didn’t go, who would? I didn’t plan to become the neighborhood Bible study leader. We already had a wonderful leader, Laurie, whom everyone loved – she was a gifted teacher and a treasured friend to each of us. When she moved out of the neighborhood, I kept hoping and praying that a new leader would step forward to take her place, but no one did. I couldn’t stand by and just let our study dissolve – that little group had meant so much to me and my neighbors over the years. I stepped forward, along with another woman, to co-lead, but I did not feel equal to the challenge at all. I hadn’t been raised in a Christian home. I hadn’t grown up in the church.I was only beginning to study the Bible for myself, how could I think of calling myself a leader?It was a difficult time, and I had some big shoes to fill. Then my co-leader had to move on to other things. Some of the women stopped coming to Bible study when I took over. Some became inconsistent, at best, and some even began going to Laurie’s new neighborhood to attend her study. All of that hurt. But God kept urging me to continue saying, “Just keep going. I will fill in the gaps.” I drew great comfort from the Old Testament story of Balaam and the donkey, and I thought, “If God can make a donkey speak, surely He can give me the right words to say to these women.”The Holy Spirit did indeed fill in the gaps in our study. He filled those empty seats, drawing both old and new neighbors to Bible study. He filled in my trembling spirit with His powerful presence. He filled our hearts with His love for each other. He is the true teacher of my study, and all of us learn and grow together under His instruction. 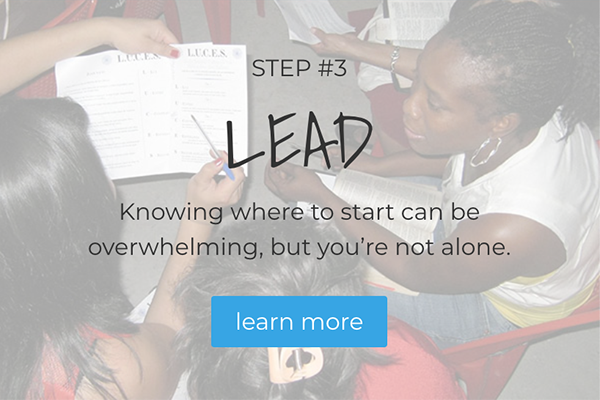 I love the diversity of our study, and the opportunity to connect deeply with women with whom I would not normally cross paths.We care for each other, acting as the hands and feet of Christ.When you accept the role of the neighborhood Bible study leader, you sometimes feel like people start to look at you like you have a third eye! When my neighbor’s son suffered a devastating, life-threatening injury, I felt awkward going to see her, knowing she did not attend my study. I guessed that she was probably not a believer at all. But again, God urged me forward. Like it or not, I had been given this leadership position, and it fell to me to do the difficult thing. My heart broke for this mother, and I couldn’t imagine facing the possible death of my child without knowing that I could cry out to God, begging for His help and comfort.When I walked into the hospital to meet with my neighbor, I was shocked and humbled by her reaction. She fell into my arms and wept. When I asked her if I could pray for her son, she readily agreed and asked what I needed. Incense? Oil? Candles? I assured her that the two of us needed nothing except our hearts united, crying out to the Lord for her son.God chose to work a miracle in that boy’s life—and in the life of his mother—as she witnessed firsthand the awesome power of prayer. The women in our Bible study surrounded and supported her, and she experienced the deep, true love and comfort that comes from Christian friendship. When she had no place in her world to turn, she discovered something true and valuable: that God loved her dearly, and He was allowing her neighbors the privilege of demonstrating that love to her. She later joined our Bible study and began to attend faithfully. She and her entire family eventually came to Christ, and we were all there to see it!Although I was a reluctant neighborhood Bible study leader, I now regard it as a huge privilege. God meets me in my weakness, honors my obedience and shows up for me week after week. When I am allowed to witness His life transformations and miracles, I know it’s worth any amount of discomfort or uncertainty I may experience. He fills in every gap.Have you ever experienced God "filling the gap" in your own life? Share with us in the comments!Find more Fresh Stories here!Lisa Hankins is a native Georgian and the leader of a Bible study at her children's school She has a passion to help others find healing by trusting Christ with their brokenness. Lisa lives with her husband Richard and two sons. When she is not shuttling her boys to various activities, she is busy serving as the sponsorship coordinator for an orphanage and school in Uganda, Hands of Love. She loves the verse Hebrews 10:25: “Let us not give up meeting together, as some are in the habit of doing, but let us encourage one another—and all the more as you see the Day approaching.” Lisa’s story was written by Erica Rountree. Erica is a freelance writer and the communications director at Action Ministries Inc. She lives and works in Marietta, Georgia, where she’s a member of a neighborhood Bible study and mama to two girls who constantly outsmart her and drive her to drink sweet tea. As we joined the congregation early last Easter morning, our flip flops smacked the aged wooden floor loudly. My children, still sporting pajamas and raging bedheads, had already descended upon the donut holes and hot chocolate. They giggled wildly at their mutual good fortune of extra sugar before proper breakfasts. The pianist played a traditional hymn softly in the background. All the assembled heads turned at once to take in our ragtag crew, and then someone spoke. "Happy Easter!" my neighbor said, with a smile. "Happy Easter!" we replied. The church was our community pool deck. The congregation consisted of our friends and neighbors. Our Easter finery was "come as you are." The sun rose over our homes' rooftops, while Blossom, the neighborhood cat, stretched out under a picnic table bench serving as a pew.My neighborhood Bible study organized a sunrise Easter gathering last year. Our leaders kept it very simple, asking ladies in the Bible study for help. 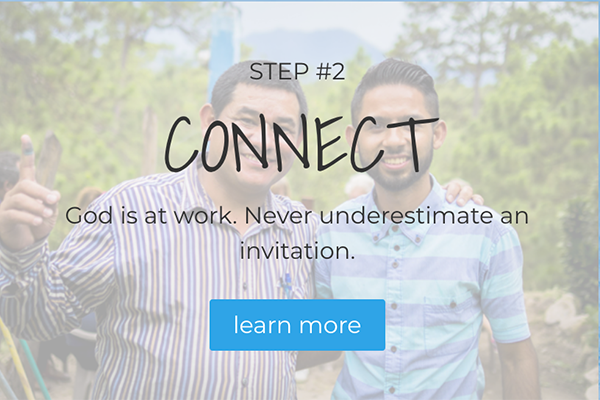 The result was an informal, joyful way to start a day of celebration of the risen Christ.If you want to try organizing an event like this in your neighborhood, think about these simple steps.1. Establish a time and place: We chose sunrise at our pool deck, which allowed people who attend a more formal service at church on Easter morning to still take part.2. Ask people for help providing things like:	Music or song sheets. We are fortunate to have a talented piano teacher and some great singers in our neighborhood! Refreshments, like donuts and coffee. Keep it simple and sugary! A children's message or object lesson. Scripture reading of the Easter story. A short Easter message. The offering of opening and closing prayers.3. Send out invitations.4. Enjoy a sweet celebration on Easter morning!Happy Easter from NBS2Go!If you've ever planned an Easter-themed event in your neighborhood, share a helpful tip in the comments!Find more Fresh Stories here!Erica Rountree is a freelance writer and the communications director at Action Ministries Inc. She lives and works in Marietta, Georgia, where she’s a member of a neighborhood Bible study and mama to two girls who constantly outsmart her and drive her to drink sweet tea. “Oh man, another one of these things,” she thinks to herself, as she pulls the red envelope out of her mailbox. “How many ways can I say no?” She takes the stack of mail inside and plops it all down on the kitchen table. The little red envelope, with her name written on the front in her neighbor’s neat cursive handwriting, is the only remotely interesting piece of mail she’s received today in a big stack of boring bills and advertisements. She sits down and sighs. “What’s she invited me to this time?” Inside the envelope, a cheerful pink and white card invites her to a Valentine’s Day tea given by the neighborhood Bible study. She smiles. She’s been receiving invitations like this for two solid years, and she’s running out of excuses. Her neighbor is a great gal – their sons are the same age and love playing together. But this Bible study stuff is not for her. Of course, this is just a tea party. It would be fun to meet some of the ladies in the neighborhood. How dangerous could it be?Little did I know it at the time, but that Valentine’s Day tea was extremely dangerous for me. It turned my whole life upside down! And not just mine, but the lives of my husband, my children, and even my 66-year-old father.The tea was a starting point – the tiny spark that lit a raging fire within me. When I finally said yes, I was pleasantly surprised that the gals at the neighborhood Bible study were regular women, just like me. No one wore long dresses or shouted Scripture at me. During the tea, I heard a five-minute teaching on God’s grace. It was exactly the simple message my tired, hungry heart longed to hear – that there was a God in Heaven who loved me, not for how well I could behave or how many good works I could accomplish, but just for ME.Several years after the fateful tea, I was encouraged to start a neighborhood Bible study of my own. Much to my surprise, I began reaching my neighbors in the same way I was reached.Touching women through my neighborhood Bible study was the source of amazing joy to me, but the real shocker occurred when God touched my father’s heart.Dad was a military man, an alpha dog and hard to the core. Dad was not a believer and had fallen away from the church years before. But, as he witnessed a softening in our home – the effect of grace – he became interested in the changes taking place in us. God gave me favor with my Dad – he loved exchanging emails – and he would listen as I shared the ways my faith was growing and our lives were changing. By God’s design, my parents moved into a retirement community full of godly people, and Dad was invited to his own neighborhood Bible study. Like me, he turned down the invitations at first, but he too eventually gave in (if only to get them off his back!) and began to love it. He called the men in the study “Quote and Go” because they were so familiar with Scripture.I knew God was a big God, but I could never have imagined what happened next.One afternoon, as my Dad and I sat on his patio, dunking Oreos in milk, our conversation turned to Christ. My heart began beating wildly in my chest, but God gave me boldness. I asked Dad if he wanted to pray to receive Christ, and he said yes. We prayed a sweet, childlike prayer together, and the skies, which had been crystal clear moments before, opened up and poured rain. It felt like God was crying tears of great joy! My parents were baptized soon after by the minister who led Dad’s neighborhood Bible study. I had to see it with my own eyes – the two of them up on the altar in choir robes – to believe it! When Dad died two years later, I had great peace and assurance that he was in Heaven and that we’d see each other again one day. That blessed assurance was possible because someone invited us – not once, but many times over – to a dangerous neighborhood Bible study.Have you ever stepped out on faith to do something "dangerous?" What was the result of your boldness?Find more Fresh Stories here!Laurie Bengochea (pictured with her family) is the mother of four children, and more importantly, the grandmother of one darling little girl. She leads a community Bible study in Georgia. She has a heart to disciple women wherever she is.Laurie's story was written by Erica Rountree. Erica is a freelance writer and the communications director at Action Ministries Inc. She lives and works in Marietta, Georgia, where she’s a member of a neighborhood Bible study and mama to two girls who constantly outsmart her and drive her to drink sweet tea.